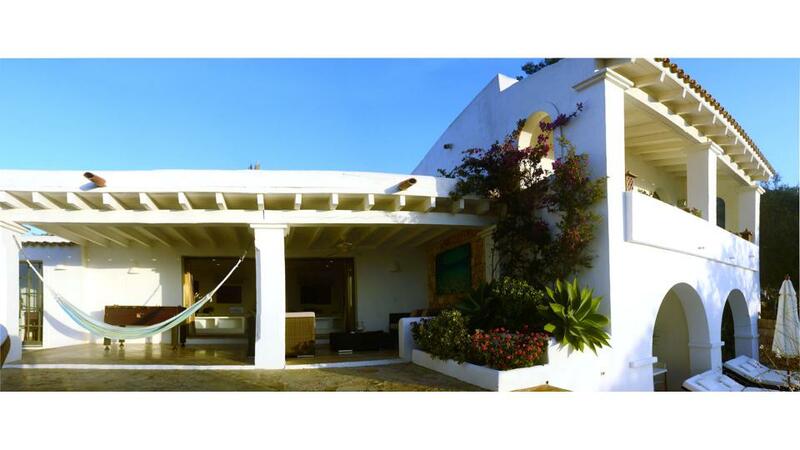 This very peaceful and private hilltop property situated in a unique location above Es Cubells. 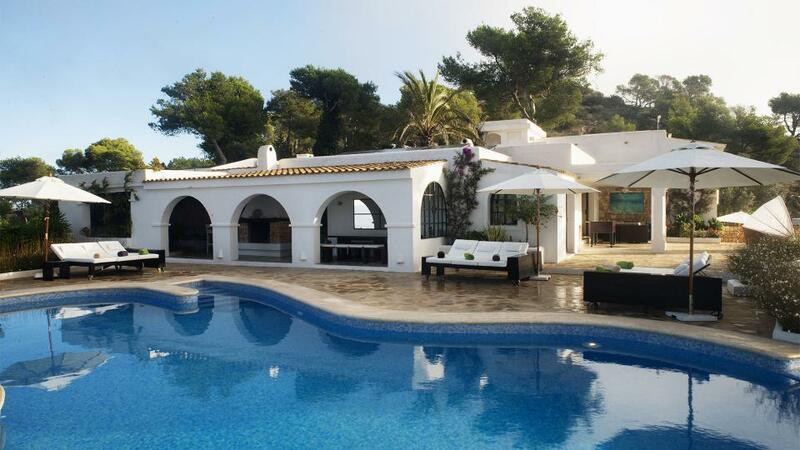 The 34,000m² of land, completely enclosed, is unique because it offers lots of privacy and only three other neighbours are situated on the same mountain. 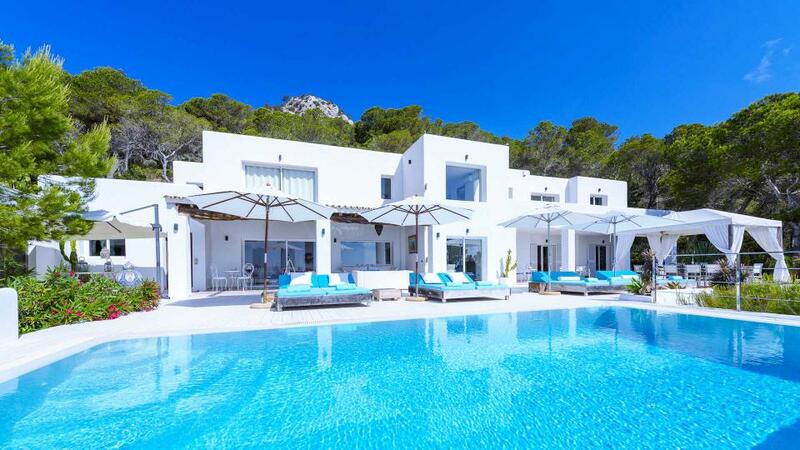 This amazing villa is located in one of the most exclusive areas of Ibiza; offering a breathtaking 200 degree view across Salinas, Formentera, Es Vedra, the Conejeras Islands and the Spanish main land. Suite, Ground level. This bedroom has 1 double bed. Bathroom ensuite. This bedroom includes also office area, TV, private terrace. Room, Ground level. This bedroom has 1 double bed Queen size. Bathroom outside the room, With shower. 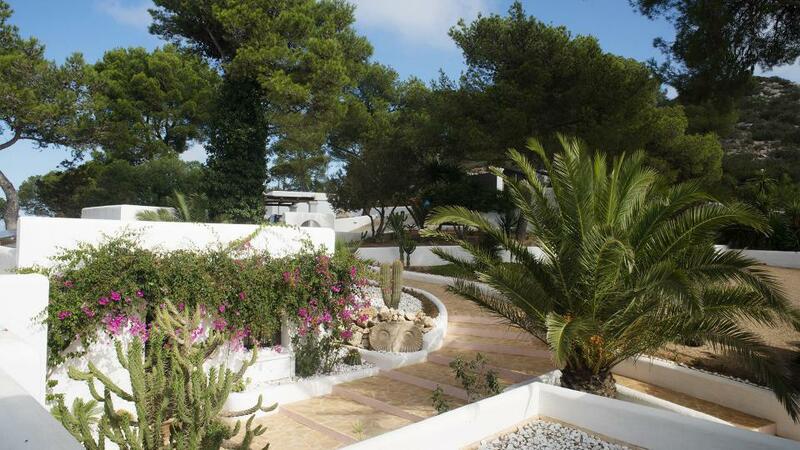 A few kilometres downhill over an asphalted road you have access to the famous beach of Cala d'Hort where the famous landmark and mysterious rock island Es Vedra is located. Due to extremely high concentrations of metals and minerals, the rock creates a highly magnetic field, which makes it the 3rd most magnetic spot on the globe. 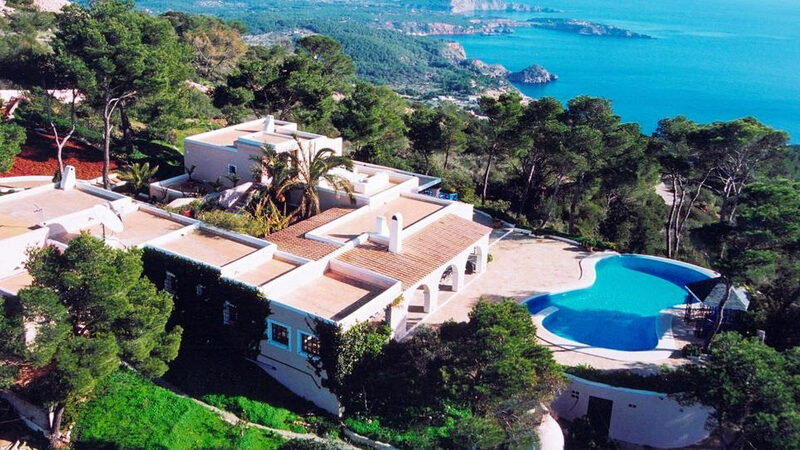 At maximum 10km from the beaches of Cala d'Hort, Cala Carbó and Cala Vadella. Supermarket is 4km away. 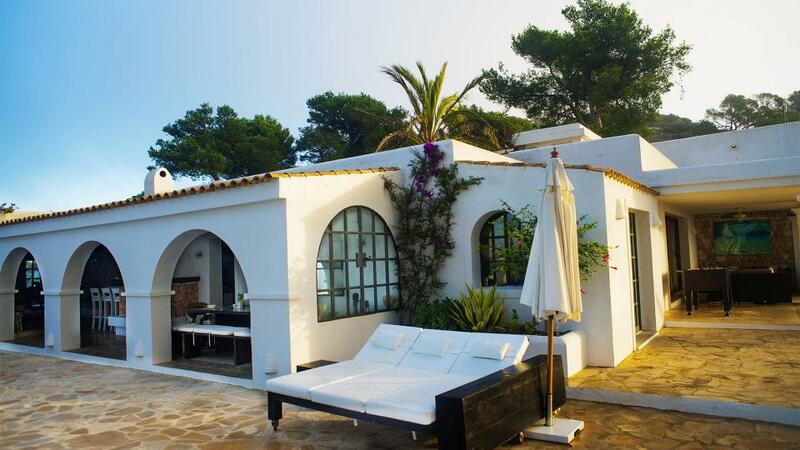 Ibiza town is 20 minutes by car.